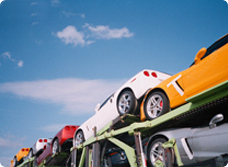 Company Desc: Full service auto transport company specializing in enclosed carriers. TRUE 1 Million Dollars in Cargo Ins. Riders are available at request should our load exceed our limit.